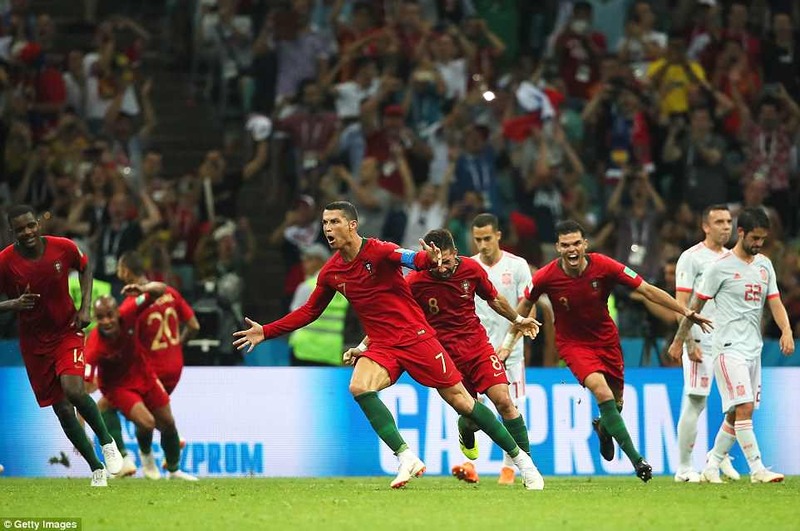 Cristiano Ronaldo scored a dramatic late free-kick to complete his first World Cup hat-trick and rescue a point for Portugal after a thrilling 3-3 draw in Sochi. Spain, who lost their manager Julen Lopetegui on the eve of the tournament, were seemingly heading towards victory after coming from behind twice to lead 3-2 with just minutes remaining, but Ronaldo, who became the first player to score in eight consecutive major tournaments, denied them right at the death. The Real Madrid forward opened his World Cup account from the penalty spot in the fourth minute before Diego Costa fired Spain level in the 24th minute.